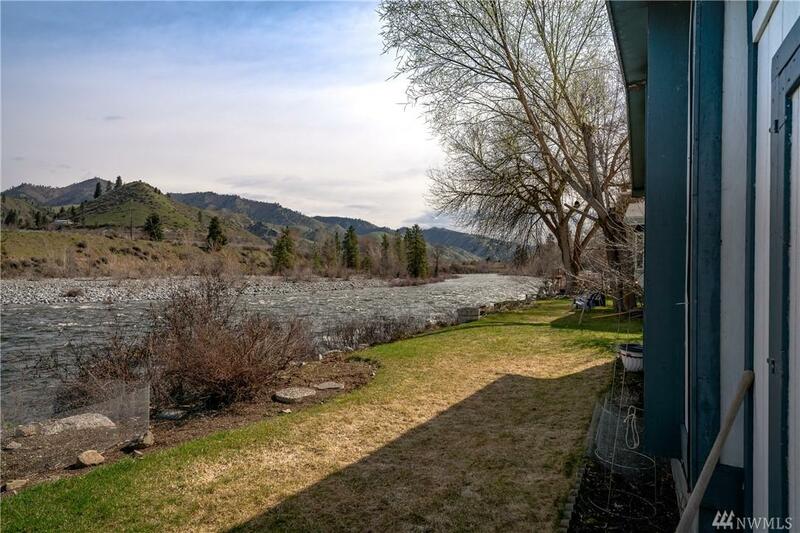 Wenatchee River waterfront manufactured home with dreamy mountain and territorial views! 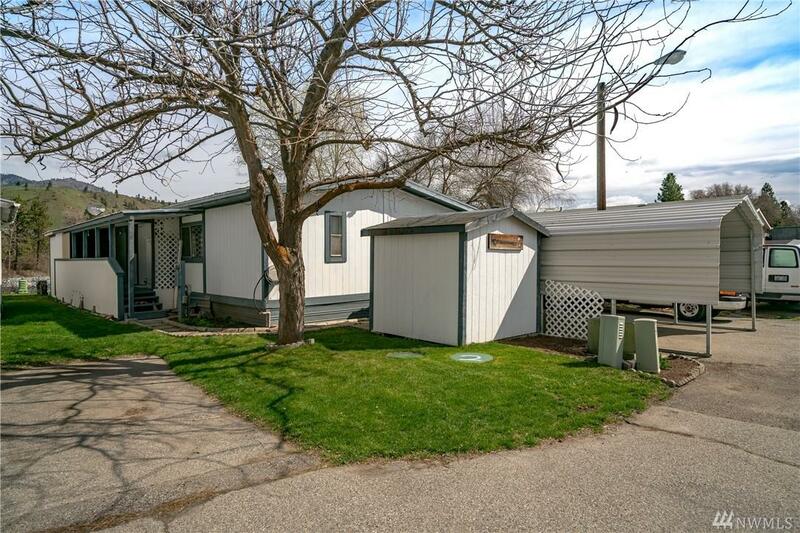 Located within quiet neighborhood this 2 bed 1 bath home fills up just over 1,100 sq ft. Bright kitchen with appliances and eating area. Cute curb appeal with mature tree coverage, covered porch, and one car carport with bonus shed for extra storage. 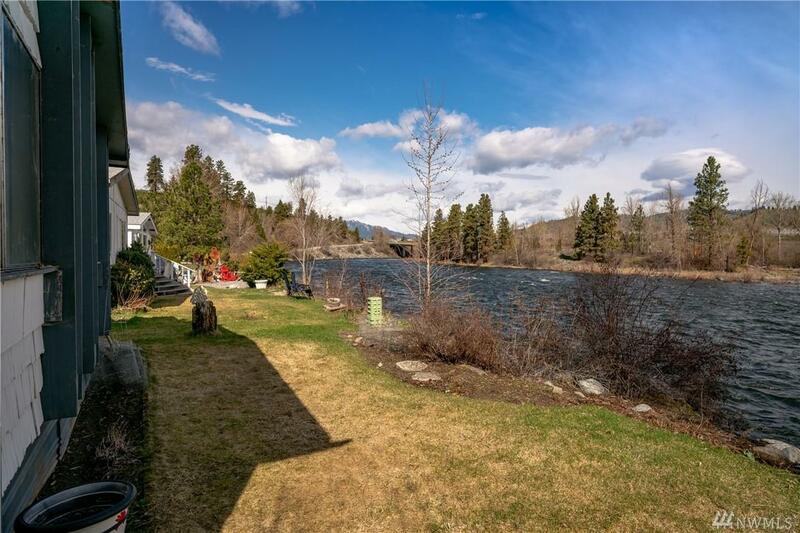 Low bank river access out back with yard area to entertain. 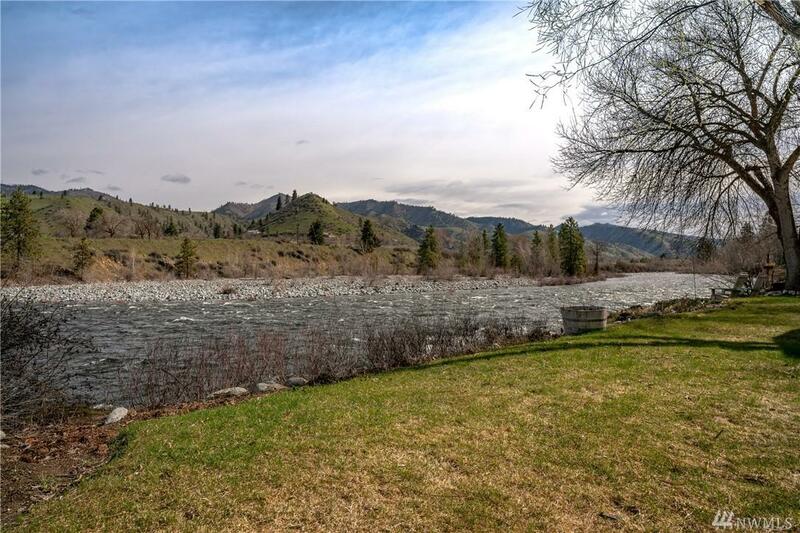 Ideal river location, just minutes to Cashmere and Wenatchee!